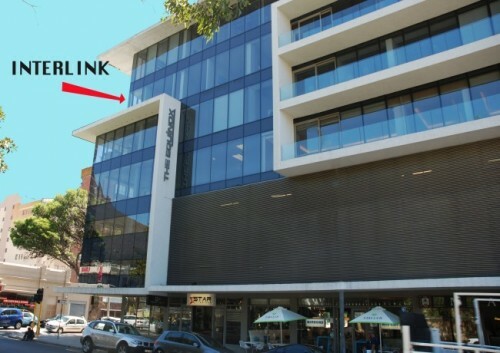 "Interlink Cape Town - 7% discount on any course"
Established in 1998, Interlink School of Languages is registered as a close corporation, registration no.1998/051341/23. It is an independently owned language school. Interlink School of Languages is a smaller school committed to excellent service standards. Throughout its fifteen year existence it has built a solid foundation and an excellent reputation, receiving the majority of its students by word of mouth. Interlink is ideal for your more independent discerning clients looking for quality and a high level of personal attention. 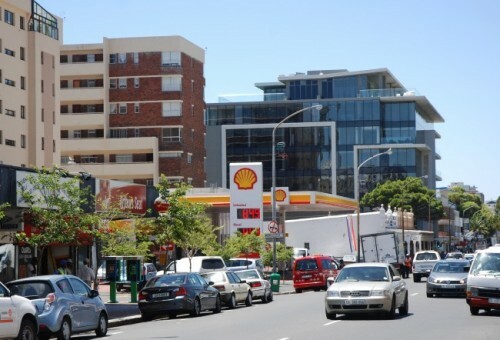 Sea Point is one of the most vibrant and cosmopolitan areas of Cape Town. Only ten minutes from the city centre, it has a beautiful seafront promenade where you can walk, jog, play soccer or simply relax and watch the sun set over the sea. 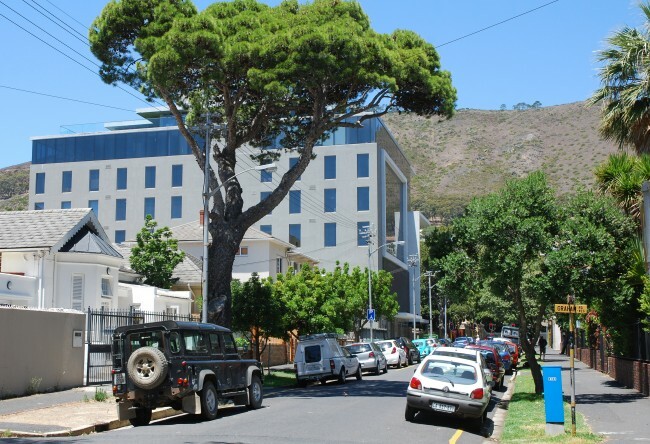 The school is very close to the world famous Clifton beaches and the V & A Waterfront, a major tourist attraction with many different things to do. General English is our standard course which gives you a good foundation in all aspects of the English Language and is designed to improve your level. Using a course book and supplementary materials you will practice all four language skills: speaking, listening, reading and writing. 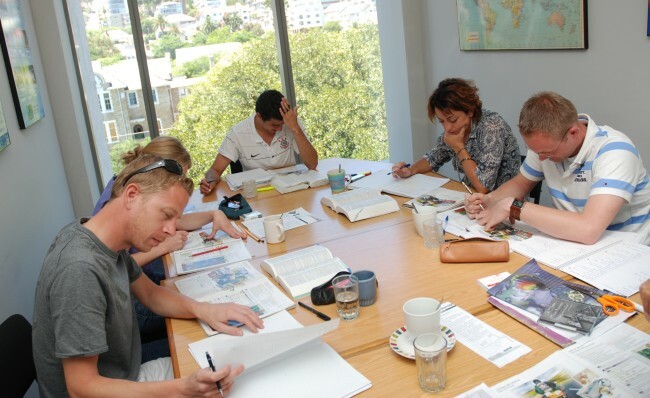 The intensive English course is the same as the general English course but with the advantage of two extra lessons in the afternoon. This enables you to progress faster. The extra lessons focus on improving your language use so that you can communicate with greater fluency and accuracy. 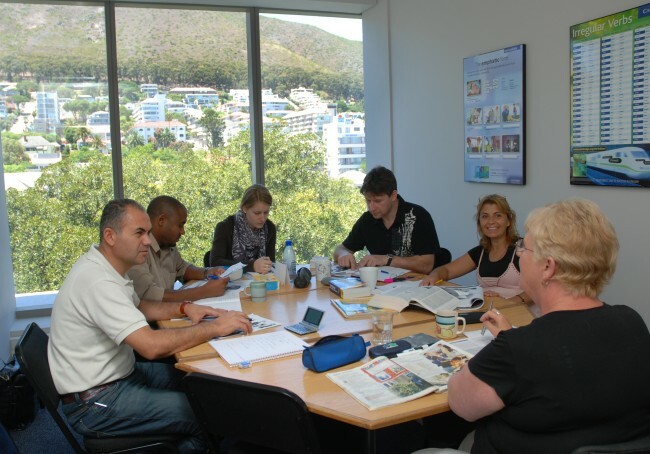 The intensive English plus course is the same as the intensive course but with the advantage of an extra one-to-one lesson. This gives you the advantage of the group course with a private lesson structured around your needs. This ensures a greater level of individual attention and a faster rate of progress in the time you have available. The Business English course is a combination of the general English course and the London Chamber of Commerce & Industry’s English for Business course. Grammar and vocabulary are practiced in a work context and combined with business skills such as presentations, telephoning, negotiations and business writing. The course includes the option of ending with an examination for the internationally recognised LCCI Certificate. Preparation courses for the Cambridge FCE (First Certificate), CAE (Advanced) and CPE (Proficiency) certificates. Students participate in the general English classes in the mornings to improve their fluency and accuracy, and then do specific exam training in the afternoon. Practice exams are done to ensure you are familiar with the different techniques of the exams. Preparation classes for the American TOEFL test. This course is suitable for students who will be studying in the United States and South Africa. It consists of the General English course with extra lessons in the afternoons focusing specifically on the skills needed for the test. We also go through practice tests to ensure that you are familiar with the format and techniques of the test. Preparation classes for the IELTS test. This course is for students who are going to English speaking countries to study or work. Select either the Academic or General training module depending on your needs. Training consists of the General English course to improve fluency and accuracy, with extra lessons focusing specifically on the skills needed for the test. The more time you have to study the more fluent you will become. With six to twelve months of learning and practicing your English every day you can achieve fantastic results. With the academic year programme you can advance through the different language levels until you are proficient. These are individual lessons for students with specific needs or limited time. Classes are structured around the exact needs of the student and maximise the students learning time. Go on a 4 or 5 day Safari where you can practice your English and have an experience of a lifetime after your course. The African Ivory Route is an opportunity to experience Africa, its wildlife and culture in a unique way, not available via the usual tourist routes. You will visit cultural villages, watch traditional rituals and enjoy dinners around the campfire where your guides will entertain you with the fascinating myths and legends of the local people. The Safari camps you will visit are unfenced and will provide you with a close-up Big 5 experience. Qualified staff will always be in attendance to advise you on the local environment, accompany you on game drives, and assist you in the camp. Having grown up in the surrounding local communities, they are a mine of useful information, and will enhance your cultural, wildlife and language experience in South Africa enormously. Combine your course with an exciting overland adventure across three countries – Namibia, Botswana and Zambia. You will climb some of the highest sand dunes in the world, visit some of the best game reserves in Africa and see the natural wonder of the Victoria Falls. An overland trip is the perfect place to practice your English as it provides a relaxed atmosphere where you will be able to hone your newly acquired skills. Spend four days after your course paddling down the Orange River in a 2-person inflatable raft. The Orange River originates high up in the Drakensberg Mountains and meanders through South Africa before it joins the Atlantic Ocean. Your guides will take you through some fast flowing water and guide you with knowledge and experience to ensure maximum enjoyment of this magnificent river. 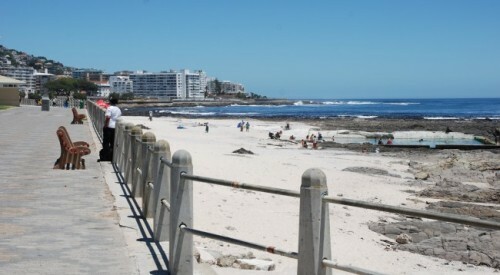 You will have the opportunity to experience some wave surfing, hiking and fishing that provides fun for everyone. The evenings are spent around a campfire under the stars where you will have ample opportunity to practice your English with your fellow paddlers and your friendly guides. 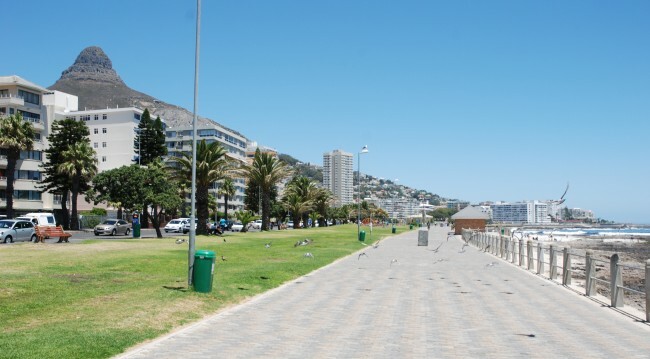 Cape Town has many attractive golf courses that are centrally located and offer courses for both skilled players and beginners. 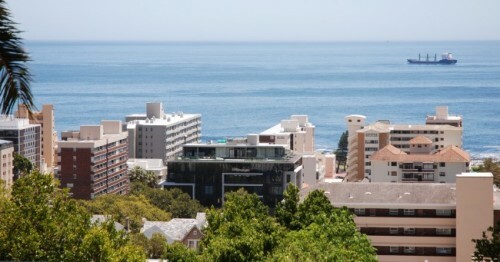 The Metropolitan Golf Course, only ten minutes from the school, has magnificent views of Table Mountain and Signal Hill. After your language classes on Monday to Friday afternoons, learn how to play the game with an experienced golf pro, and practice your English at the same time. Our Volunteer Work Programs are an exceptional opportunity for anyone wanting to improve their English skills. Working as a volunteer, you will not only learn English in a native environment but you will also collaborate with the local communities and gain valuable work experience. Projects are generally focused on working with children, education, healthcare and environmental issues. Don’t miss this opportunity to make a difference in your life and in the life of others. Be a volunteer!